The third installment in Sam Raimi’s Spider-Man series is a glorious mess that is at turns the darkest and funniest of the trilogy. Following on the webby trail of the nicely balanced Spider-Man 2, the latest chapter is proof positive $258 million and three years don’t necessarily add up to solid storytelling. Multiple threads weave together in Spider-Man 3, but a couple of them are weak enough to hurt the overall integrity of the tapestry. Things start off at a gentle, slow pace. Mary Jane Watson (Kirsten Dunst, Marie Antoinette) is singing on Broadway at the Broadhurst Theatre, Peter Parker (Tobey Maguire, Seabiscuit) is still slugging away at school and at the Daily Bugle, Harry Osborn (James Franco, Tristan + Isolde) is still grappling with the loss of his father, and Spider-Man is enjoying a love fest with New York City. Alas, those lives, their routines, and their futures are all disrupted shortly after a common thief, Flint Marko (Thomas Haden Church, Sideways), escapes from Rikers Island and stumbles onto a particle physics test site. At the wrong place at exactly the right time, Marko is blasted to sub-molecular bits, but he manages to pull himself back together — bigger, badder than ever and packing the punch of a nasty sandstorm. Complicating matters even further, a strange black substance crash lands from outer space and latches onto Pete’s moped. Eventually the demonic stuff overtakes Peter, weakened by romantic turmoil, while he naps. The black, form-fitting goop refashions the famous red-and-blue Spidey outfit in jet black and Spider-Man’s mood shifts to match. So far, so good. The setup is mostly well done, but things get sloppy as the story’s pace builds like an out-of-control locomotive barreling downhill without any brakes. Part of that locomotion comes in the form of Topher Grace (In Good Company). He’s easy to buy as Eddie Brock, a boastful wannabe cub photographer who covets Peter’s job and Peter’s study buddy, Gwen Stacy (Bryce Dallas Howard, The Village). However, Eddie’s ambitions run afoul when he tries to frame Spidey and thereby make a name for himself. His penchant for questionable deeds makes him an appetizing target for the same black goop that has more nefarious things to do than spend time with a do-gooder like Spider-Man. Overwhelmed by the awesome power the galactic gunk offers, Eddie gets sucked in and is spat out as the evil, fang-baring Venom. It’s a lot harder to buy Grace as a bulked up baddie, even with the magic of computer-generated imagery. Therein is Big Fault Number One. BFN2 lies in a lazy bit of storytelling that essentially rewrites a major event in the first movie. Thanks to the miracle of DVD, it’s easy enough to revisit the first movie and fast forward to the sequence in question. It’s clear screenwriters Sam Raimi, brother Ivan, and Alvin Sargent took a major leap of faith that people wouldn’t mind a little revisionist storytelling five years after the first flick. But the world is already saddled with one George Lucas perpetually rewriting his own cinematic history. It’s unfortunate Sam Raimi chose to fall into that trap in the name of a fairly weak plot twist. The movie would’ve been far better served with a totally different story development. As a result, the final act suffers as the storylines collide into one all-too-clean conclusion. As if Spidey didn’t already have his hands full with all the aforementioned commotion and distractions while en route to that action-heavy wrap-up, poor Harry finds out the hard way that alcohol is the ticket to evil doing. It’s when Harry tips the booze that he starts to hear the taunts of his father, who terrorized Spider-Man as the Green Goblin in the first installment. Now your friendly neighborhood Spider-Man can add the “New Goblin” to his growing list of powerful enemies. 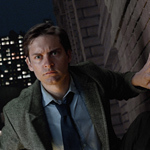 Even as all the storylines blur together in Spider-Man 3, it is not necessarily the end of the cinematic line for the web-slinging superhero. With the rumor mill pumping out talk of another complete trilogy of sequels, the possibilities are wide open. Hopefully Raimi will take note of where this one goes askew in order to avoid similar pratfalls in the future. What works best here is what worked so well in the first two; the chemistry between Maguire and Dunst in particular makes these movies pop. The supporting work of Franco as both a friend and an antagonist, J.K. Simmons as the irascible Bugle editor J. Jonah Jameson, and Rosemary Harris as Aunt May (who often serves as Peter’s surrogate moral compass) also give the movies a good amount of depth. Sure, the special effects, most of which are very well done here, make the movie spectacular to watch, but it’s the characters that make this series special and a stand out among the growing number of entries in the comic book genre. While Raimi plays loose with the Spider-Facts, he also manages to let loose with a surprising amount of humor. Making the humor all the more delicious, the funniest bits come about because of some of the movie’s darkest story elements. That is indeed a neat trick and the kind of cinematic tap dancing that helps this movie redeem itself from its own sins.